Fishing Crackdown Nets Benefits for Indonesia - Integration Through Media ....! 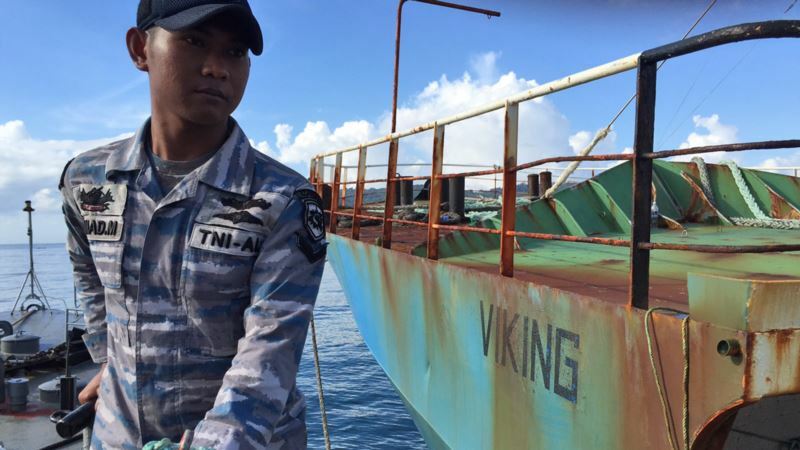 (VOA): Indonesia's strict crackdown on illegal foreign fishing boats is paying off, according to new research. “Telling fishers to stop fishing for a few months or years would be something that's not that realistic,” said study lead author Ren Cabral at the University of California, Santa Barbara. “You have a large benefit, but the cost to local people is zero,” said marine biologist Boris Worm at Dalhousie University, who was not involved with this research. “This paper argues, I think convincingly, that this is the first thing you should do: if you want to fix fisheries in your country, first, kick out the fishers that don't need to be there,” he added.